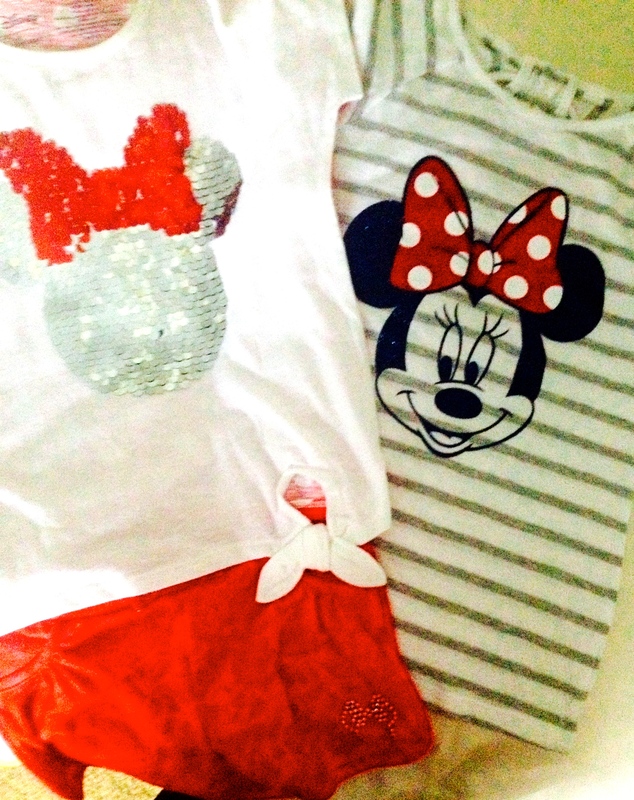 Author SubdivaAdminPosted on April 8, 2014 April 17, 2014 Categories ReviewTags Disney, Giveaway, kids, Kohl's48 Comments on A Magical Giveaway from Kohl’s–UPDATED WITH WINNER! I have this self-imposed small window on my calendar when I make homemade strawberry jam. It’s a brief period in late March/early April when Florida strawberries are at their absolute ripest, sweetest and on sale. I realize that they can be found at any point during the year and few more dollars more won’t break the bank, but this is when my mind (and stomach) says it must be done. This is one recipe that I don’t deviate from. Since it has the potential to cause food-borne illness and kill people, I figure this isn’t the place to experiment. I follow the instructions and recipes to the letter from the people at Ball jars, Freshpreserving.com. This year’s batch turned out particularly well. 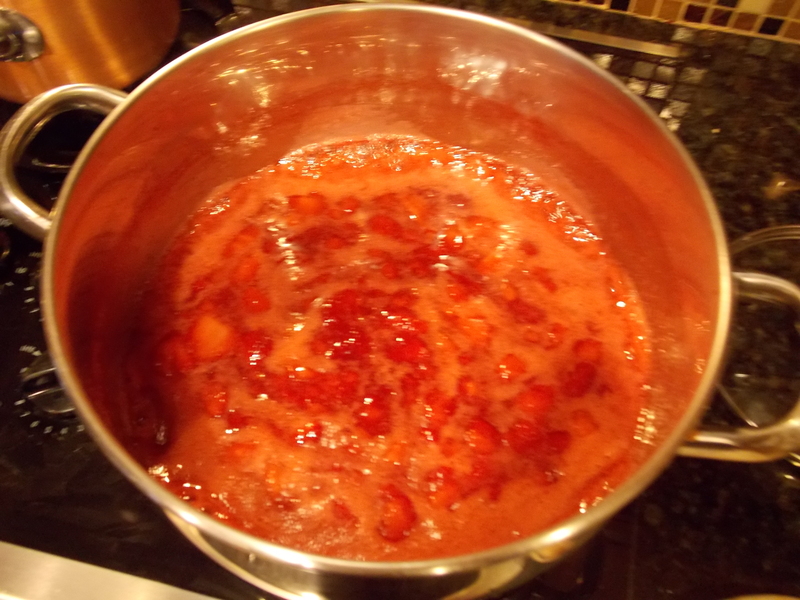 The strawberries were really ripe, and adding the pectin at the beginning of the recipe (not later) as the recipe called for, really helped put the jell in the jelly. 1.) Start with a clean kitchen, clean jars, clean tools—clean everything. I take a couple extra steps to make sure there’s nothing to contaminate the jam. I run the clean jars through the sanitizer cycle of the dishwasher, along with all of the tools I’m going to use in addition to the boiling process that is detailed on the site. 2.) 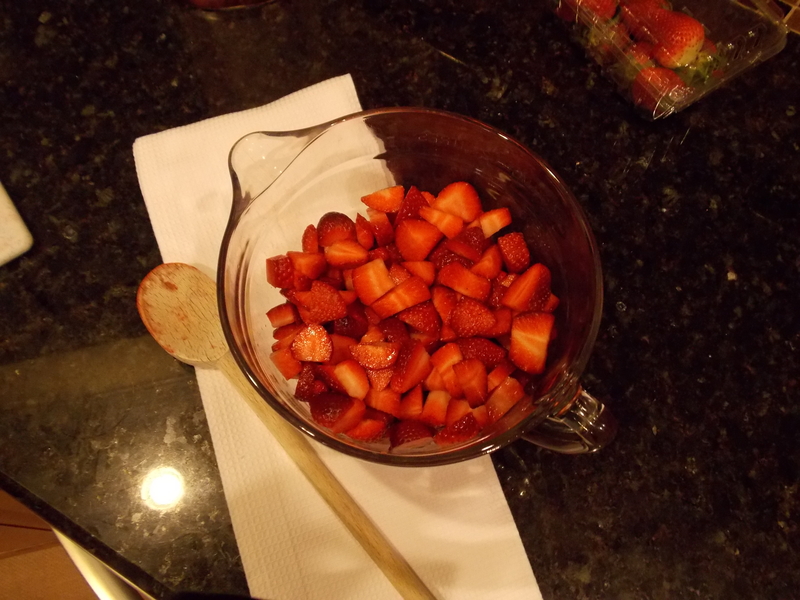 5 cups of strawberries like the recipe calls for translates to just about 2 packages (2 lbs.) in the store. 3.) Don’t double the recipe. This makes 8 8 oz. jars. 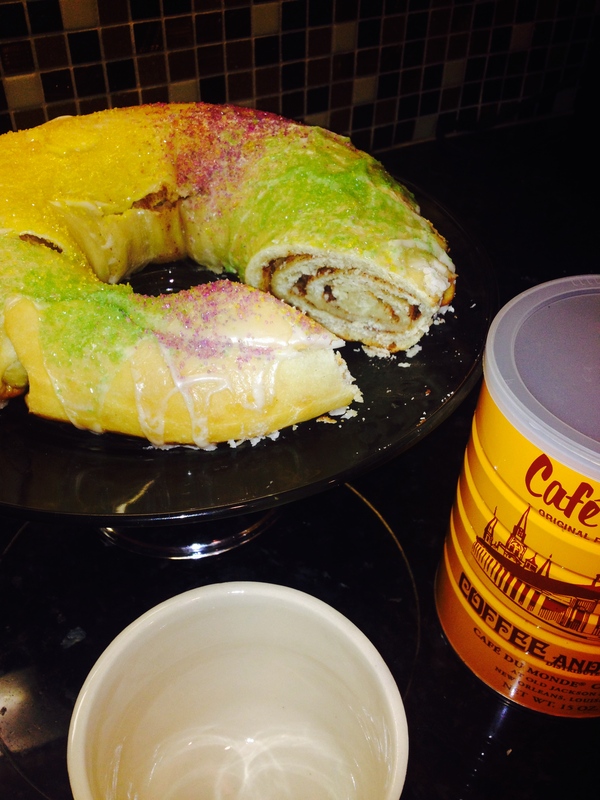 If you want to make more, make a second or third batch. For some reason, the math doesn’t work for doubling on this, and your jelly will be runny. 4.) There are a lot of canning tools they will try to sell you, but the 2 that I found worth the little money they cost are the jar-grabbers and the special funnel. I use a big stock pot to process my jars—it works just fine. 5.) Don’t let this process intimidate you. Do your research and follow the directions—it really is simple. 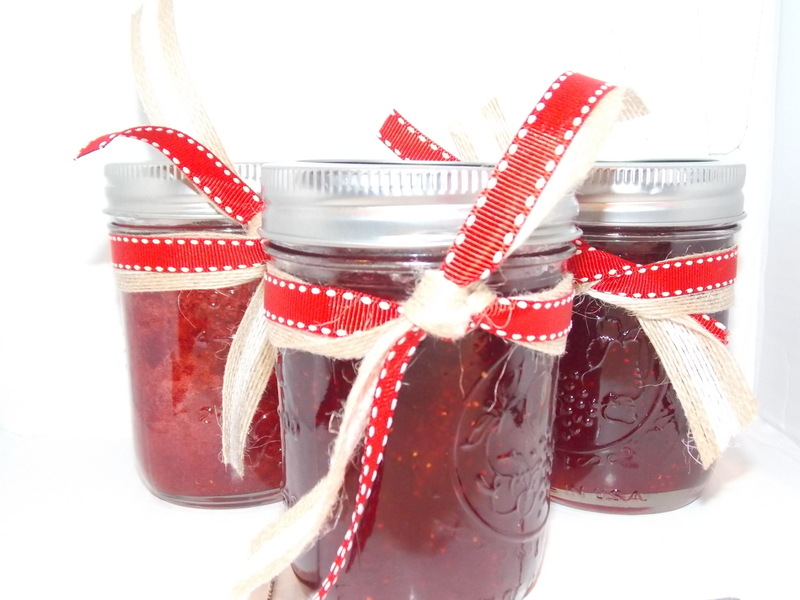 If after everything and you still feel nervous, just store the jam in an airtight container in the refrigerator for about a month. But it won’t last that long. I’ve been to Disney so many times, I park in SubDiva 53. I’ve been to Disney so many times, A Small World is sick of my theme song. I’ve been to Disney so many times NASA has mistaken me for a moon orbiting the Epcot ball. And in two weeks, I’m going again. For 11 years we lived an hour’s drive from the park in Florida. Our kids were little, then big, but it was a place that grew with our family. Anyone who came to visit us wanted to go there. If a friend or relative went to Disney World on vacation, we’d meet them there for the day. And then there were the media visits. I was so very fortunate to be able to write for the Tampa Times and attend many events and blog about them. I was so lucky to be a part of the very first Social Media Moms Conference in which there were just 16 of us who represented a small slice of the blogosphere—both Mommy and non-mommy—I still watch those women in awe at where their careers and lives have gone from there. And the extremely complex, deep psychological reason why we keep going back? Because it’s fun. This year I was just as thrilled to get an invitation the Disney SM Moms Conference next month. It will be held in at DisneyLand in California—a place I once visited over 30 years ago on a family vacation. I can provide no frame of reference, no helpful tips, no sarcastic lead-ins because it will be completely new to me. In fact, it’s pretty awesome. As parents, we are natural planners. Particularly when it comes to travel, we need things mapped out exactly so that we can pack and make appropriate arrangements for all the little and big people we are responsible for. We want to know what to bring, when we eat, what to wear, what we’re doing and who is going to be there. There are reservations to make, suitcases to be filled, magic to create. I get it. But if anyone is searching for counsel on how to approach this trip, my advice is simple: with utter abandon. Suspend your natural tendencies to plan every aspect, and allow the many talented people who put this entire amazing, one-of-a-kind experience to handle the details. They are gifted in the art of surprises, and it’s a time like no other. If you’re bringing your kids, show them the beauty of spontaneity. Be bewildered together. I guarantee you will learn more, laugh more, and engage more with amazing women doing amazing things. No matter if it’s your first time or your address is on the parade route, engage in the joy. The only thing you really need to bring is an open mind. I love to cook from an open cookbook or magazine. Scribbling notes in the margin, its pages gently spattered with floured fingerprints or remnants of the delicious recipe depicted. But honestly, that’s not how we often practically cook in this millennium. More often than not, I’m on a website. My phone is open to a page, and I’m trying to read the screen before it blanks out. Or I’m fighting with the kids for the computer at a critical point in the dish, and they want the Club Penguin window open instead. So my preferred method of 2014 recipe-following is on my iPad. But realistically, those floured fingerprints aren’t good for electronic devices. 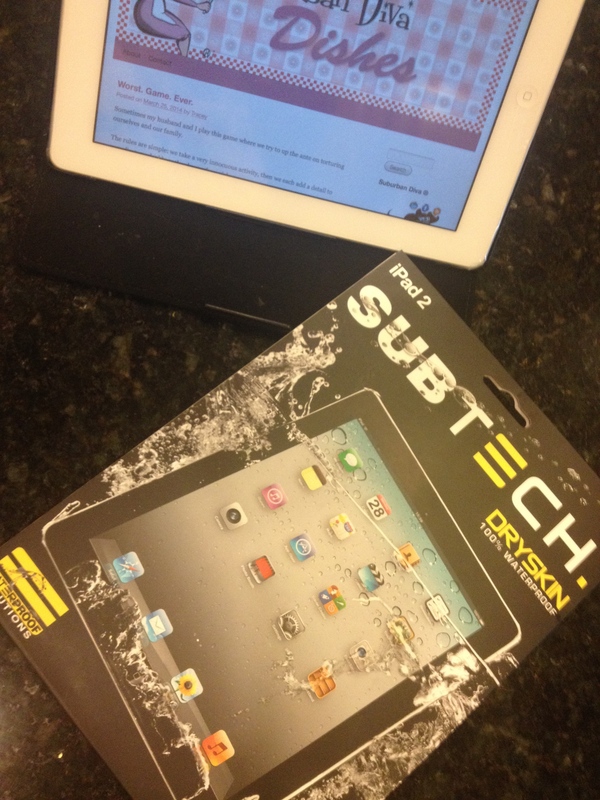 Enter in the Subtech Sports dry skin. Originally designed for sports or outdoor activities—this waterproof protector is also a perfect solution for the home cook. I may not need to take underwater pictures or worry about a craggy rock face scratching the surface, but it sure is nice not having to worry about the splatters, drips, pooling béarnaise sauce or floured fingerprints that seem to be unwitting ingredients to just about everything I make. For the messy cook. I’m looking at you, SD. Take a look to see if this might be helpful to you and your extreme cooking. The skin fits snugly and still allows you to do everything with the touchscreen. I’m not sure if I’m going to test the submersible aspect anytime soon, but it’s nice to know that I can save my rice for risotto instead of rescuing my iPad in case anything happens. Sometimes my husband and I play this game where we try to up the ante on torturing ourselves and our family. The rules are simple: we take a very innocuous activity, then we each add a detail to complicate and add another layer of anguish. Our most recent round? Spring Break. Me: Let’s take the kids to Disney World. Me: But let’s drive instead of fly. Him: I’ll see you a 14 hour drive and raise you by leaving at 11 pm and driving all night. Me: Nice. I’ll see your all-nighter and raise you open beverages and melted chocolate all over the back seat. Me: We have only one day of bad weather this whole week. Let’s go to a park. Him: Done. I will leave all of the rain ponchos in the car in the parking lot. Me: Perfect. I’ll make sure the girls wear brand new flip-flops that give them blisters. Him: Good idea. I’ll make dining reservations at the fanciest restaurant I can find so we will be soaking wet and miserable when we finally eat at a ridiculous time of day. Me: Be sure to request the air conditioning be pumped up so we all leave feeling the beginnings of a cold that we can fight off for the rest of the week. Him: I’ve planned out the dates so that we basically have to stay in two different hotels due to availability. Me: Good plan. I’ve added 3 more excursions, so you’ll need to triple the accommodations. Him: Awesome. I was just thinking how easy and unencumbered it is to pack, unpack and repack six people and all of our gear multiple nights. Me: Well, at least there’s free breakfast! Him: Make sure to get extra helpings of the poorly refrigerated yogurt and undercooked sausage patties. The beauty of the game is that multiple people can play! My daughter takes her turn at 3:00 in the morning. Daughter: Mom, I think I ate too much free breakfast. I just threw up all over the room. Me: Is it called “Continental” because you’ve just projectile vomited far enough to reach Europe? Him: Well, at least it happened in the middle of the night when there’s plenty of staff on duty to help. Me: So, how do we know when this game ends and who won? Him: I don’t consider it over until we get asked to leave or lose a security deposit. Me: The housekeeping staff should be here in a couple of hours so I think that’s game and set. Him: Ah yes, but we still have 500 miles and three days left to this Spring Break. Me: Which leaves opportunities for a couple more HoJo’s and a petting zoo! Him: If I call my mother from the car on speaker phone in a particularly bad reception area, I think that’s match! Author SubdivaAdminPosted on March 25, 2014 Categories ColumnTags vacationLeave a comment on Worst. Game. Ever. When the word, “Tonguespank,” comes through on my subject line, I am immediately intrigued. Pair it with the phrase, “NEW LIQUOR & HEAT SPICE LINE” and I’ve come home. 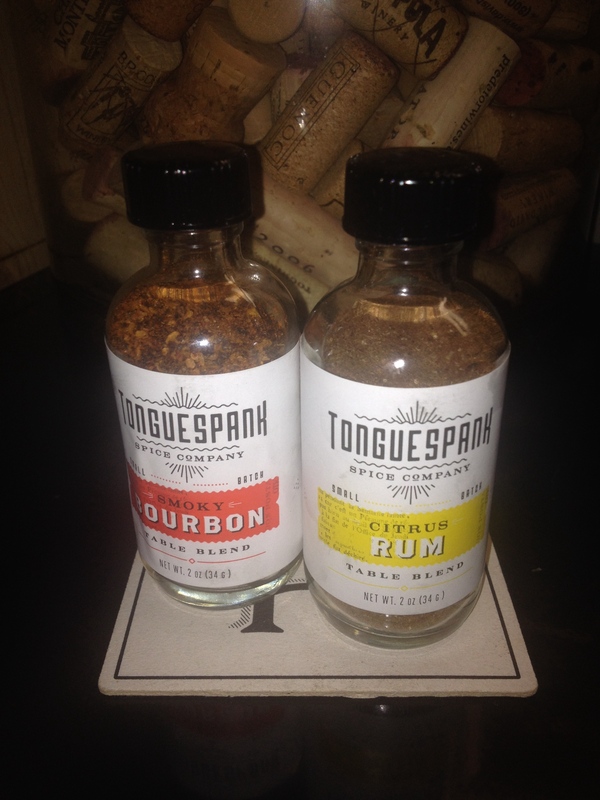 Tonguespank Spice Company has come up with a table spice line that does exactly what its name promises. The Liquor and Heat blends take flavor to exciting depths, and can really transform a dish into something spectacularly spicy. The spice is unique in that it is designed to be put on after cooking, so the diner can add as much or as little as their palate desires. Perfect for foods like grilled meats or vegetables; spice blends like Smoky Bourbon, Garlic Grappa, Citrus Rum, Wasabi Sake (I’m not quite that brave yet), and Scorpion Bourbon can really make things interesting. So far I’ve tried the Smoky Bourbon on grilled steak and the Citrus Rum on some oven-roasted asparagus which are admittedly timid experiments when approached with serving suggestions like, “Sprinkle on eggs, pizza, baked potatoes, chili, steaks, burgers, pork chops, barbecue, ribs, etc.” I’m excited to expand my horizons a bit. Check out Tonguespank.com for all they have to offer and online shopping info. It’s something a little different and may change your mind on oral corporal punishment. 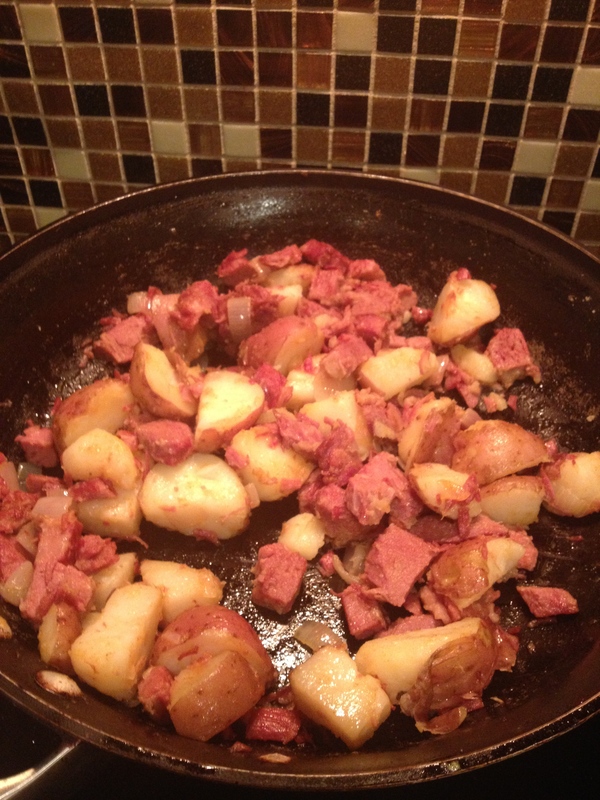 One of the things I remember the most about my mother’s cooking was her corned beef dinner. 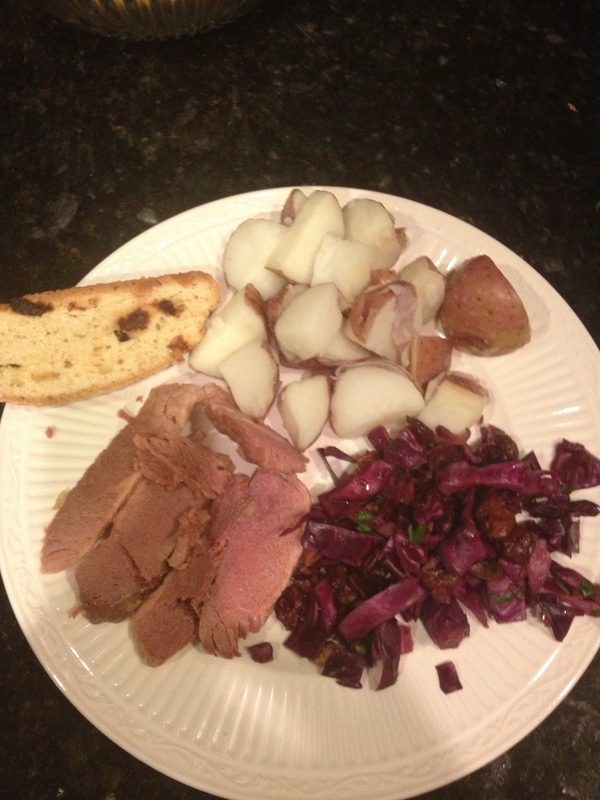 She would make the corned beef, red-skinned potatoes and boiled cabbage. It was one of my favorite meals as a kid. The cabbage smell would make me gag, but everything else was so good I tried not to notice. She claimed that you couldn’t make corned beef without the cabbage, and for years I took that as standard much like I believed Tiger Lilies were endangered. (She told me that so I wouldn’t pick them.) So over the years I’ve created my own version of the traditional St. Patrick’s Day dinner sans boiled cabbage. Some things don’t change, however. You need to get the gross looking package of corned beef that will be on sale this week, and boil the crap out of it. Use the spice pack that comes with it, and boil it for like 3 hours or whatever it says on the package. Just leave an extra 30 minutes or so to let it rest on the cutting board before you slice. Next is the potatoes–again, just boil the red-skinned potatoes until tender and drain. I like to melt butter, parsley and a little garlic salt to serve along side. Next comes the cabbage. I found this recipe from Bon Appetit a couple of years ago, and I absolutely love it. Yes, I love cabbage when it’s prepared with a warm pancetta-balsamic dressing. So good. The Barefoot Contessa has a great Irish Soda bread recipe that I use as well. She uses dried currants rather than raisins, and I think it gives it a unique tartness that gives the bread a little bite and freshness with the orange zest. This year I topped off the meal with a homemade Bailey’s gelato because I am into homemade gelatos at the moment. I’ve also made Bailey’s cheesecake in the past which is super yummy. I’ll be working on that gelato recipe before I post it, however, because it didn’t set up as firmly as I liked, and was quite boozy. 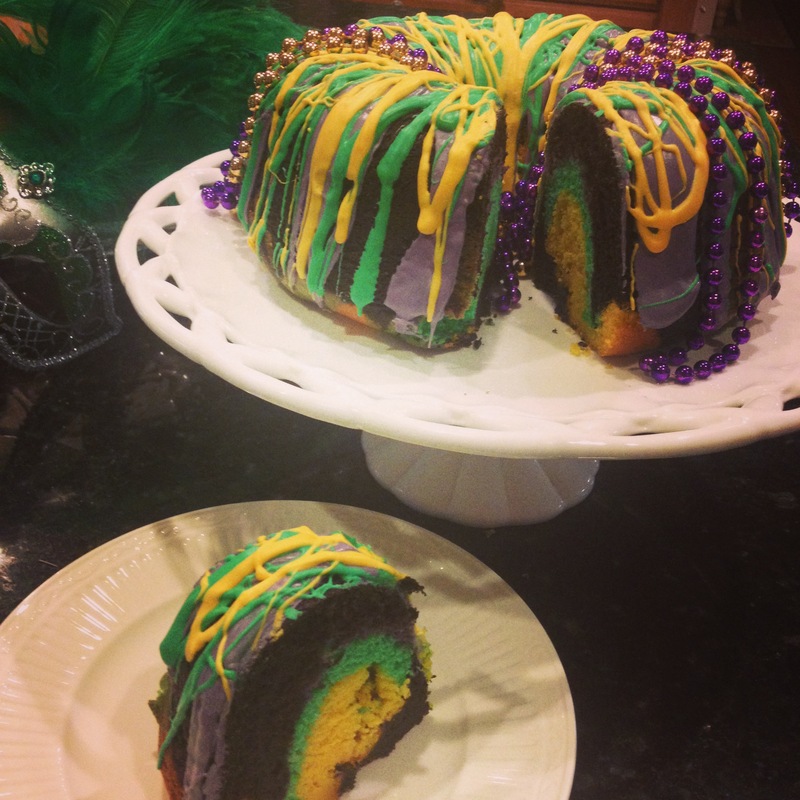 Weird that there’s nothing green on the plate for St. Patrick’s Day…. But then what would a good St. Patrick’s Day dinner be if not a little boozy? Many of you know me from my somewhat obsessive hockey tweets over on Twitter. (@Subdiva) If that is the case, then you probably know that last Monday evening while many of us were watching the Preds game, a very scary situation was happening over in Dallas when Rich Peverley collapsed on the bench from a cardiac condition. In an eerie coincidence, this same day was the anniversary of our son’s first cardiac procedure four years ago. Now I’m not a doctor, and I don’t know any more about Peverley’s condition than what has already been reported so I have no idea if the diagnosis is the same as our son’s, but it does have similarities in that they both suffered from an arrhythmia and both had to be ablated to correct it more than once. Our son was diagnosed with Wolff-Parkinson-White syndrome, an electrical anomaly of the heart that was asymptomatic until he was 14 years old. One day, he complained of his heart racing suddenly at rest which we all thought would end up to be nothing since he was in no pain, and the episodes were short and infrequent. But after weeks of testing with EKG’s, Echocardiograms, and a heart monitor, we were all shocked to learn that he had a silent ticking time bomb in his chest that required a 5-6 hour cardiac procedure to save his life. My point in re-telling this story now is a reminder that our children will suffer from sniffles and stomachaches, but then there are other things that we as parents need to investigate further. When something feels “off,” it may be easy to dismiss first, but you and your child should always keep an honest conversation open about what signs their bodies are trying to tell them. Our son’s second surgery was three days before we moved to Nashville, and I am happy to report that he is healthy and cleared for all activities.